The cast of the Technically Speaking Podcast join us to talk with about the future of super rad airships for scientific use similar to satellites! We also talk about a company planning a new method for extracting Lithium from geothermal vents, to meet the needs of the Tesla Giga-Factory. 3:00 Our guests today are Jacob and Joe from the Technically Speaking podcast! Check out their show if you like technology, engineering, or other rad stuff. 4:15 Our first story is about AIRSHIPS! 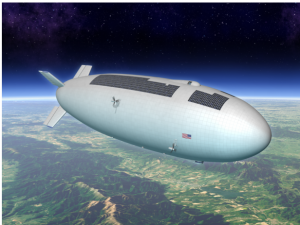 The Keck Institute for Space Studies has released a report titled “Airships: A New Horizon for Science” a FREE paper published on the arXiv where they explain the scientific merit of using rigid airships for scientific applications, and potentially to replace satellites. There are also articles about this on motherboard.vice and in the MIT Technology Review. 5:50 what is an airship? 14:10 the ISIS project (canceled) had neat “suction cup” tethers to keep the airship down on the ground. 16:00 the scientific applications the Keck Institute found as useful were Earth sciences such as atmospheric and environmental monitoring, and for planetary/astronomical sciences a telescope could be mounted with “Hubble comparable imaging”. 30:00 we start on the engineering problems for building airships. Including the Hydrogen vs helium debate! 32:50 Joe points out that even though hydrogen is a dangerous gas, jet fuel is pretty dangerous too! 55:15 the Tesla giga-factory’s object is to combine as much manufacturing as possible under one factory, but its the opposite with a lot of political things (like defense contracting) where things are built in a ridiculous number of factories. 63:00 The earth should run entirely out of Lithium around the year 2100!!! 64:00 it is VERY important to recycle your lithium batteries, because we are very close to running out completely!!! 65:00 THIS website says that lithium is 100% recyclable, but recycling it is just not economically feasible right now. Someone should start a company storing all the lithium batteries for about 20 years until it becomes economically feasible to recycle. Then you can donate an idea fee to our podcasts!. We’ve changed our intro music to be something a little less obtrusive, you can buy the song or the album at the link below. Thanks to Crying for letting us use their song. As always, the LASER Podcast is released under a Creative Commons Attribution-ShareAlike 4.0 license. 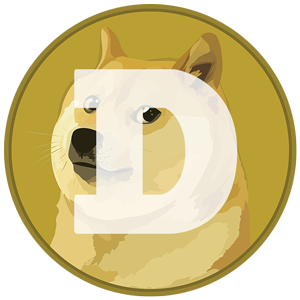 Tagged with airships, arxiv, astronomy, battery, blimp, dirigible, earth science, electric cars, energy, environment, lighter-than-air, lithium, Lithium-ion, LTA, satellites, sustainability, Tesla, Tesla Motors.